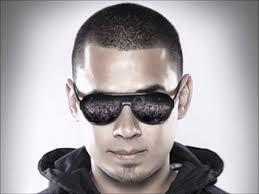 Afrojack is a Dutch music producer and DJ. His single “Take Over Control”, which features Dutch singer Eva Simons, charted in 10 different countries. He released his debut EP, Lost & Found, on December 22, 2010. He was featured on Pitbull’s number 1 hit single “Give Me Everything” in 2011. His debut album, Forget the World, was released in May 2014. Born on September 9, 1987 in Spijkenisse, Netherlands, his birth name is Nick van de Wall. He began playing piano when he was only five, and started producing music at the age of 11 after discovering music software for the first time. He studied graphic design at the Grafisch Lyceum Rotterdam in Rotterdam for a year. He dated Paris Hilton for 6 months. He has a daughter, Vegas, from a previous relationship with Dutch model Amanda Balk. In 2018, Afrojack became engaged to the Italian singer Elettra Lamborghini. *He was born on September 9, 1987 in Spijkenisse, Netherlands. *He started playing the piano at age five. *His debut album Forget the World was released in 2014. *He was ranked in the top ten by DJ Mag Top 100 DJ’s. *He was in a relationship with Dutch model Amanda Balk with whom he has a daughter named Vegas. *Follow him on Twitter, SoundCloud, YouTube, Facebook and Instagram.